Sacramento is what we call a “slip-back” case. The region experienced above median growth and improvements in equity in the 1980s, but then slipped below median in the 1990s. The slowdown seems to have been driven by several processes in the latter decade – military base closures that led to lower overall growth and disproportionately hurt African Americans in the region, and the migration of high-tech employment from the Bay Area to Sacramento, which drove up inequality in the region, as more highly educated professionals saw their incomes soar at the same time as the declining employment opportunities for less skilled workers as a result of the base closures. 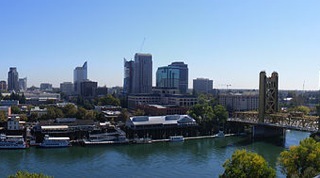 Interestingly, Sacramento has seen the rise of some very creative regional planning efforts – including land use and transportation planning that became part of the template for California’s effort to reduce greenhouse gas emissions – but it has remained an underperformer in the recession and recovery in terms of both growth and equity.